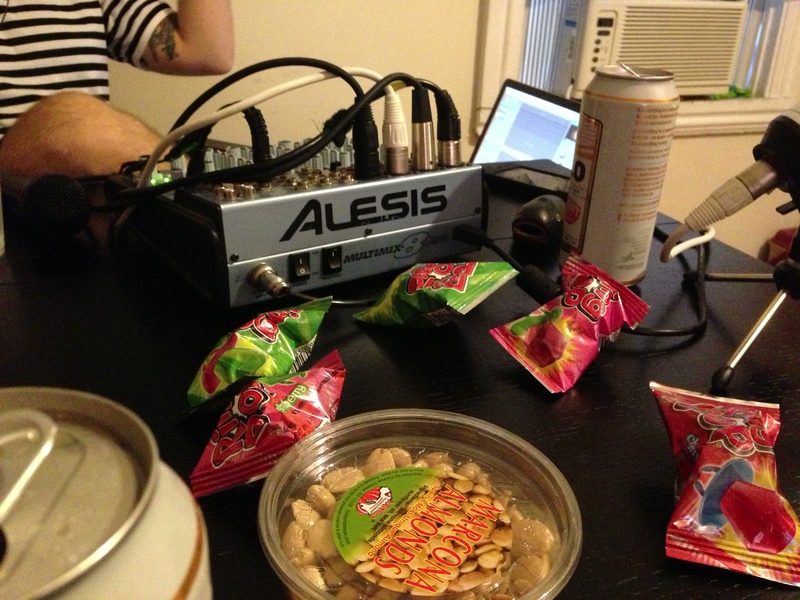 We’ve been having a blast recording our Podcast, The Skinny Beet Dinner Party, over the last few months. We started this Podcast in conjunction with the folks at Tell Me Something and while we’re still learning as we go, we’re really having a great time. So far we’ve had some sensational guests on, with folks coming from the restaurant world, music scene and more. We’re pretty much talking all food all the time, (sometimes it’s overkill talking about our own wedding, but can you blame us?) but it’s been fun mixing it up with different people along the way. While we chat, we always have a few snacks on hand, recently we snacked on some Sweet and Salty Watermelon Skewers as well as Muhammara with Sesame Rounds. What’s really fun about having new guests is that we get to talk about different subjects that we probably wouldn’t touch on otherwise. We never really know what’s going to come up in conversation. Did you know you can subscribe to our show on iTunes? Well you can, so get on it 🙂 Recently we found out our numbers have been growing quickly, we are so humbled and flattered that people are listening and love all the support we can get. If you are someone in the Restaurant industry, a Blogger or just someone interested in food and you want to be a guest on our show, please drop us a line at ChefsRCKB@gmail.com. Additionally, if you are interested in sponsoring a podcast, either by way of money or samples of your product, please send us a note. We’ve been delighted (and happily full) enjoying delicious treats from our fist sponsor, Becca Bakes as well as our friends over at Pretzel Crisps! 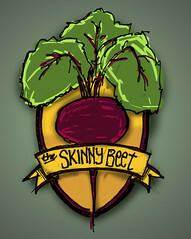 As always, thanks for staying in touch and for your ongoing support of The Skinny Beet!